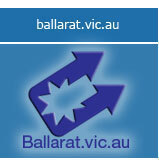 The ballarat.vic.au project provides the Ballarat Region with the first fully integrated community portal. Auspiced by cBallarat Ltd and the City of Ballarat, this facility is a multifaceted community resource, available to the groups and communities within the Ballarat region. Enter here to find out more about what is available and how you can get involved. We are looking for volunteers and contributors! If you live in the Ballarat regaion and want to participate, here is your chance. Are you a commuity or non-profit group interested in getting online or wanted to share online facilities with your members or others? 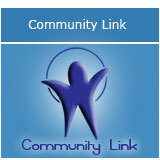 Community Link offers you an opportunity to get online without having to be technical. The facilities provided online include fully featured Content Management Systems, enewsletter subscription tools, membership sections and forums. Enter here to see what communities are already online and learn more about how you can get involved. 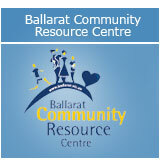 The Ballarat Community Resource Centre is a virtual centre for health and well being. We're still building the Centre up, but when its ready it will be a one stop shop for you but once completed you will be able to find out information on community legal assistance, multicultural issues, emergency and welfare assistsance and where to get help or advice on health and other issues in the Ballarat region. If you are interested in learning more or your organisation would like to participate in the Community Resource Centre, please don't hesitate to contact us. Click here to email us or get more contact details. Welcome to the Big Ballarat List! 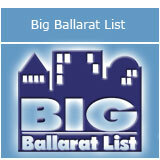 The Big Ballarat List is a facility that aims to list all the websites in the Ballarat region. Its an interactive list so if you have a website that's not on here. find the right category and submit it. We'll check it and put it up. And if you don't fit into any categories, mail us and we'll create a category for you if we need to. Welcome to the ballarat.vic.au Community Forums. This facility is a series of regulated and moderated forums to encourage discussion and information exchange amongst the communities of Ballarat. 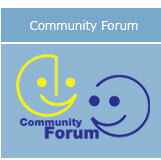 If you are in a sports club or a community group, whether you want a soap box or just want to get some discussion going, then the Community Forums are a good place to get some responsible exchanges going.Please feel free to browse the forums as they come up and if you're interested in starting a forum, contact us by clicking here and we'll get in touch with you about setting it up.